I met with Catherine prior to the wedding for her trial session. 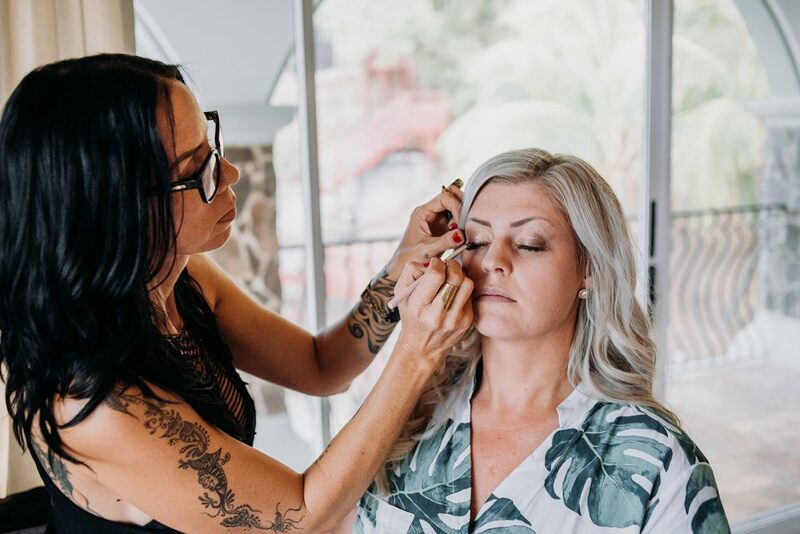 I love doing trials, it’s a great to get together with the bride prior to the wedding so we get a chance to work together in an unrushed atmosphere and really narrow in on the look that she wants. 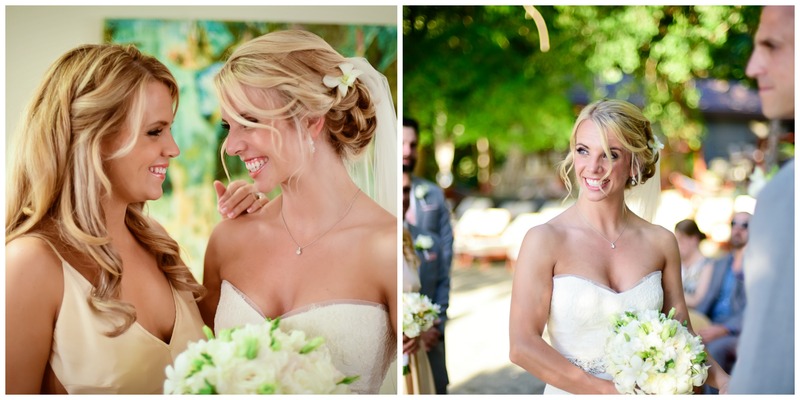 When wedding day rolled around, we were able to relax and get her, her sister, her mom and her aunt all gorgeous. 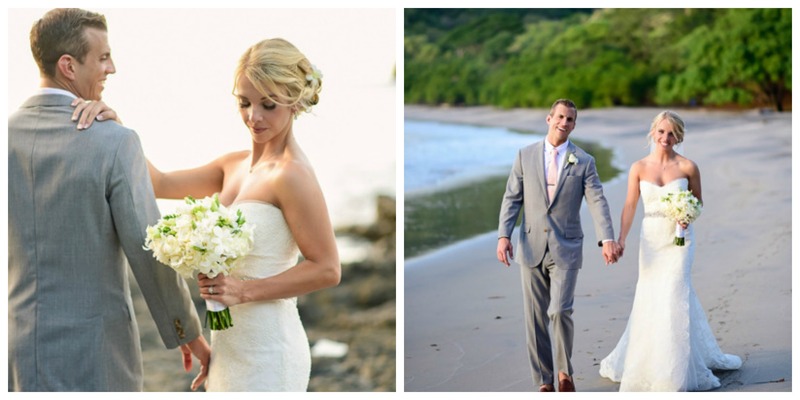 Coming from Chicago, I was very nervous to have my hair and makeup done by people I did not know in Costa Rica, as I am very particular. Tricia and Nick were absolutely wonderful! I did a trial 4 days before my wedding. They took into account the ideas I had previously presented via emails and Pinterest photos. I wanted a natural, glowy, romantic look and they delivered! LISTEN to Tricia when she says the Bare Minerals and Urban Decay works best in the Costa Rican humidity. My makeup didn’t budge all day! 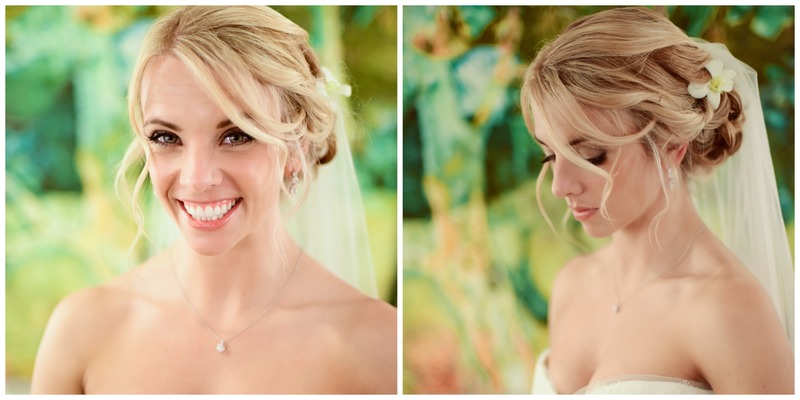 Nick created a BEAUTIFUL romantic updo, complete with fresh orchids. 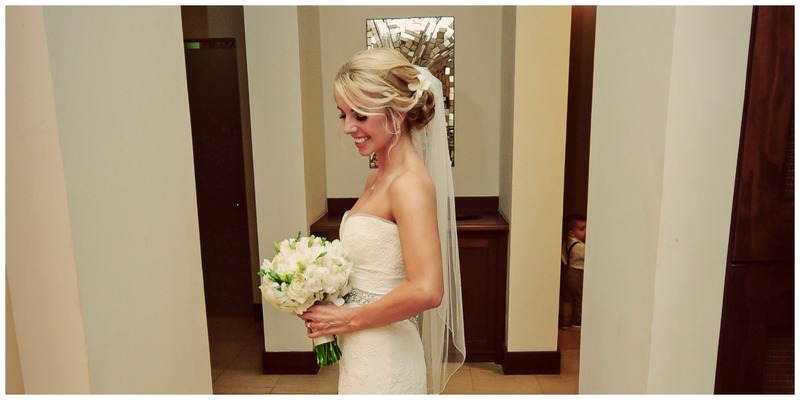 He also did a great job with my maid of honor who had very long hair extensions that she added in that day! They were both on time and flexible with my ever-changing schedule. I was especially grateful that they were accommodating to my mother, who is wheelchair bound. They are professional, incredibly artistic, and add a warm personal touch to their service! 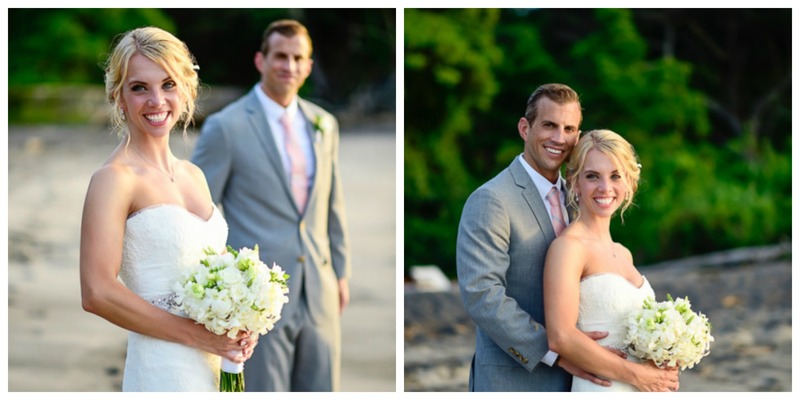 I could not have felt more comfortable or beautiful on my wedding day!